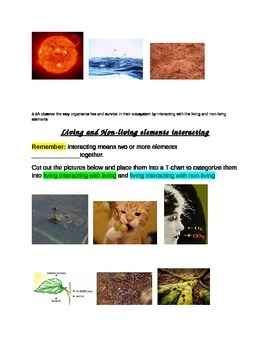 I have used this for tutoring or small groups however it could be used for homework or station work. 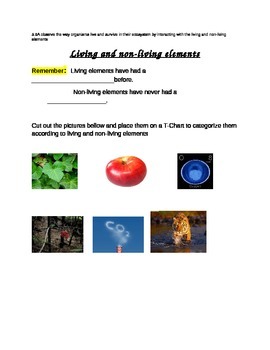 This is a sorting activity for living and non-living interactions. Specifically targeted for 5th grade science. Students cut out pictures and place them into a t-chart foldable. Enjoy!